Alibaba’s Singles Day – Just how big is it?! Singles Day takes place on the 11th November each year and started out as an ‘anti-Valentines’ celebration for single people. Singles Day is actually the biggest online shopping day of the year, surpassing even Black Friday and Amazon’s Prime Day. Online e-commerce giant Alibaba adopted Singles Day in 2009 and is now a day in China where people buy gifts for themselves. Alibaba initially saw Singles Day as an opportunity to boost sales in the lull between China’s Golden Week national holiday and Christmas. How much is spent on Singles Day? The first Singles Day back in 2009 generated around £5m in consumer spending, with this number increasing to over £500m by 2011. Alibaba trademarked Singles Day in 2012 after sales almost quadrupled from those in 2011. Fast forward to 2017 and the sales number was a staggering $25.3bn (over £19.5bn)! How does Singles Day compare to Black Friday? Singles Day makes Black Friday, Cyber Monday and Prime Day look tiny. Whilst over $25bn was spent on Singles Day in 2017, there was only $5bn spent online in the US for Black Friday, $6.5bn for Cyber Monday and $2.4bn for Amazon’s Prime Day. So, Black Friday, Cyber Monday and Prime Day combined didn’t generate the same amount of sales as Singles Day did. What is happening for Singles Day this year? 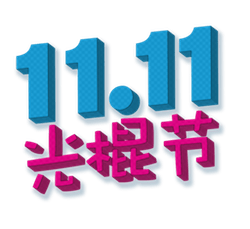 This year marks the 10th anniversary of Singles Day and according to Alibaba over 180,000 global brands will be taking part in the event. It is also using Singles Day to push its ‘New Retail’ concept which looks to blend online and offline retail developments as well as 200,000 smart stores in China. As well as this, Chinese logistics business Cainiao (which is majority owned by Alibaba) has opened the biggest ‘robot warehouse’ to help with the demands of Singles Day. 2018 Singles Day is also going to be a wider international event with Lazada (a Singapore-based e-commerce site) hosting sales as part of the event across its platform in Indonesia, Malaysia, the Philippines, Thailand, Vietnam and Singapore. Alibaba’s Ele.me food delivery platform will also be providing delivery services for select Starbucks stores across China. How much do people spend on Singles Day? A survey conducted back in 2015 by Nielsen of Chinese consumers found that the average consumer planned to spend around 1,761 yuan (£181) during Single Day. Comparing this to the stats for this year’s Prime Day where the majority of members spent just over $100 (£78) you can see just how valuable Singles Day is.